The last few years have seen big changes for Scott Miller. He left his long-time adopted home city of Knoxville, Tennessee to return to his family farm to tend a herd of beef cattle, look after his elderly parents, and set up a new touring base from his hometown of Staunton, Virginia. 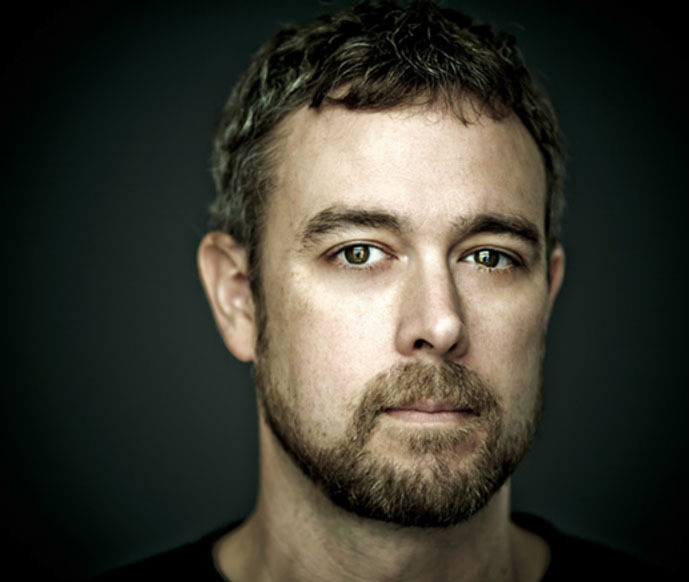 Scott Miller came into the national spotlight in the mid 1990s as leader of the Knoxville-based band The V-Roys, signed and produced by Steve Earle for his E-Squared label. After releasing two critically acclaimed albums, The V-Roys disbanded. Miller then signed to Sugar Hill Records and released several highly praised recordings with his new backing band, The Commonwealth. Most recently he has recorded and released music through his own F.A.Y. Records label. Miller's writing is informed and fueled by his connection to his family land in Virginia's Shenandoah Valley. He truly is the sum of his Southern place: rural imagery, sin and salvation, defiance, rebellion, pathos, and humor. Critic Allison Glock wrote: “Scott Miller tells stories better than most novelists. His intuitive lyrics hide universal heartbreak behind humor. His empathy is unsurpassed. He bestows dignity on dirt, elevates our pettiest concerns to poetry. He makes himself an everyman when he is anything but. A single listen reveals how Miller is exceptional, with a delivery so piercing and true you hardly notice how thoroughly you've been shot through. See him sing live once, and you'll never feel lonely again" (for Garden & Gun magazine). During this recent time of transition and scaled down touring, Miller teamed up with old-time fiddle maven Rayna Gellert, adding another sonic layer to his repertoire. The two released the mini-album Co-Dependents and continue to tour together and collaborate often. For his newest CD, Big Big World, Miller tapped Nashville guitarist and producer Doug Lancio to explore new musical horizons, stretching beyond any of his previous works and reflecting his significant growth as a songwriter. He is currently working on new music, stepping up his touring with The Commonwealth Ladies Auxiliary (Rayna Gellert and Bryn Davies) and finding a way to merge his life on the farm with his songwriting. "History is my jam,” says Miller. "The story is already there and all you need to do is find some connection with it and try to connect that to the listener." Miller recently collaborated with filmmaker James Weems and photographer Glen Rose to produce the mini-documentary Going Home which explores Miller’s personal and musical journey since returning to the family farm. Still: The Journal is honored to share that film with you here. We are also delighted to share this recent feature about Scott Miller written by Grant Alden. Grant is one of the founding editors of No Depression magazine. He now lives in Morehead, Kentucky, where he operates CoffeeTree Books with his wife, Susan. We thank Scott Miller’s manager, Kathi Whitley, for permission to publish Scott Miller’s film Going Home, photographs, and this story from Grant Alden. Today, utterly at home with his place in the new economy, the songwriter Scott Miller is having a cow. Gently and with great patience he is tending the calf and its mother, the distance between man and animal not entirely different from the careful space a performer withholds from his audience. He has lots of cows, 75 head, give or take. 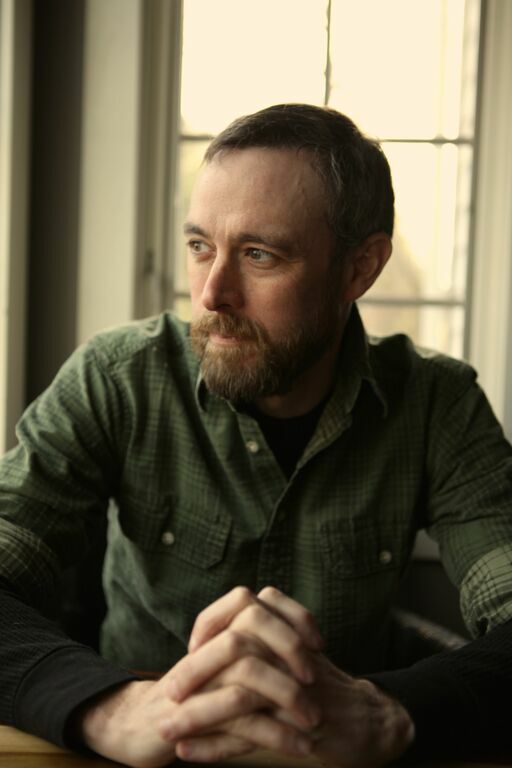 The audience for his music is considerably larger, for Scott Miller has long been a songwriter's songwriter, his careful, biting work championed by artists from Patty Griffin to Steve Earle to the novelist Silas House. The roots of roots music. The black calf is soft and damp and tired, covered in thrift shop towels. Sweet and helpless. Shivering, amniotic fluid still rattling in his chest, though the vet took a medicinal turkey baster to the problem before turning her attention to his mother. So tired he doesn't know he's hungry yet. Watching a 1,500-pound animal stumble and fall will keep you nimble and alert. It took two strong men twenty minutes to pull the calf free, the metal chain they used clean and coiled on the back of the nearest tractor. In time both animals will stand; the mother simply has temporary nerve damage from the trauma of birth. This time of day, Scott Miller should be writing songs, but he doesn't book tours when calves are due or the hay needs cutting, and he has earned the freedom to write at his own pace. At current market prices, that calf on the ground is worth about what a midweek gig in Omaha pays. Probably more, except the vet bill is kind of like the price of gas just went up a buck and the front tires are bald. It's been a hard winter and the vet carries word that everybody's been losing calves, not to feel bad. Doesn't matter. Scott's dad, down at the house where you turn in to get to the barn, his dad knows that if he could still just do what he used to do things would be better. But Scott's father saw part of World War II, and there's only so much a son can do to impress a member of the Greatest Generation. Four years in, Scott still hasn't found a song to write about tending elderly parents, but it'll come. As it will come to most of us, if not in song form. Anyway, Scott knows that he and fiddler Rayna Gellert and the bass player Bryn Davies will return to Knoxville, where he first found fame as co-leader of the V-Roys, and there they will shed every moment except the moment of the song they are playing together. The Acoustic Commonwealth, he calls that band. Recently, the band name has morphed into The Commonwealth Ladies Auxiliary, but he's been writing about his home in The Commonwealth of Virginia since he left, and his backing band is always some kind of Commonwealth. Left, leaving behind a degree in Russian Literature from William & Mary and trying to catch a girl. Left behind the roots of his music, the roots of his raising. Scots-Irish. His work gloves are covered in small, precisely trimmed pieces of duct tape. There is only one guitar on a stand in his basement writing room. His pickup hasn't been showroom quality for some years, but it runs well enough. The slick, thin-lapelled black suit Miller wore in the V-Roys no longer fits. It's too big. He is leaner and stronger now, no room in his life for beer fat and creative indolence, not when the cows need feeding. The band still makes him smile, for Steve Earle so believed in those Knoxville lads that he produced and released their two albums for his E-Squared label. A splendid power pop memory, that thing once called alt.country. Songs, as Stevie Wonder once titled an album, in the key of life.